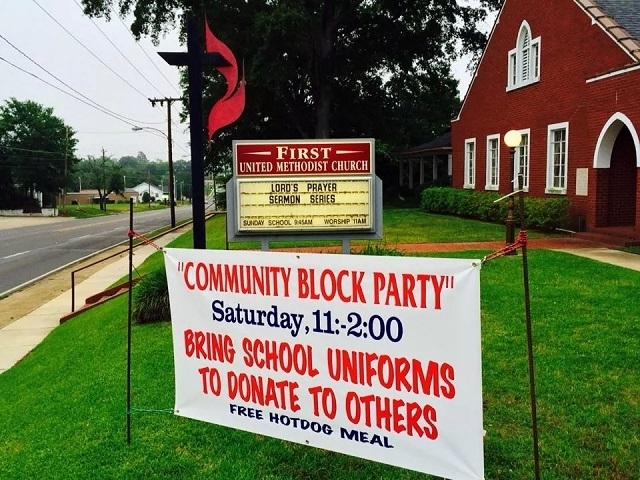 First United Methodist Church of Mansfield and Grand Cane UMC, along with other community churches, held a Community Block Party and uniform drive May 31 in First UMC's parking lot. Held for the third year, the event was organized by UM Share Ministries, an initiative of First UMC. 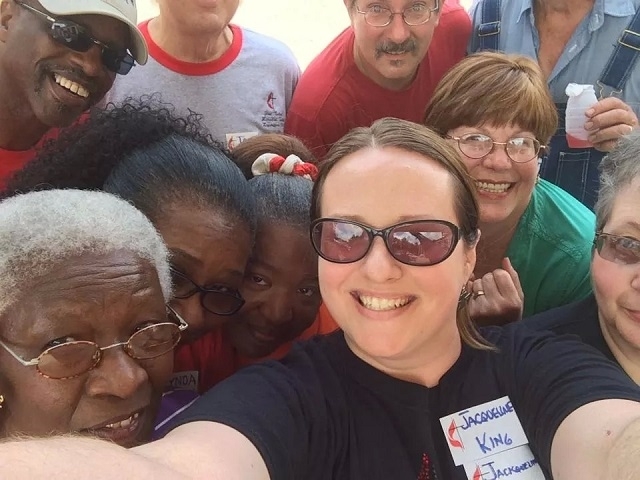 Hundreds enjoyed fun, fellowship and hot dogs while providing an important need for students in DeSoto Parish. A distribution date for the uniforms will be announced in July.